NatureUganda in collaboration with Nature and Livelihoods, the Makerere University Department of Zoology and Uganda Museum hosted a Public talk on ‘Uganda at the cross-roads – Africa’s natural resources at their richest right here!’ which took place on Monday, 8th July at the Uganda Museum. The talk highlighted the diversity of Uganda’s mammals and discussed questions related to the threats and loss of mammals in Uganda, what went wrong and the future of Uganda’s exceptional biodiversity. 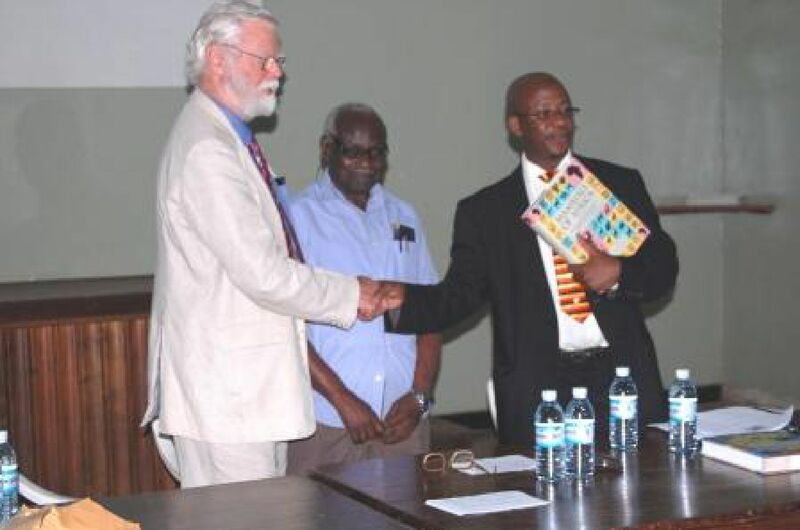 Prof William Banage, Senior lecturer, Zoology Department, Makerere University chaired the discussion. 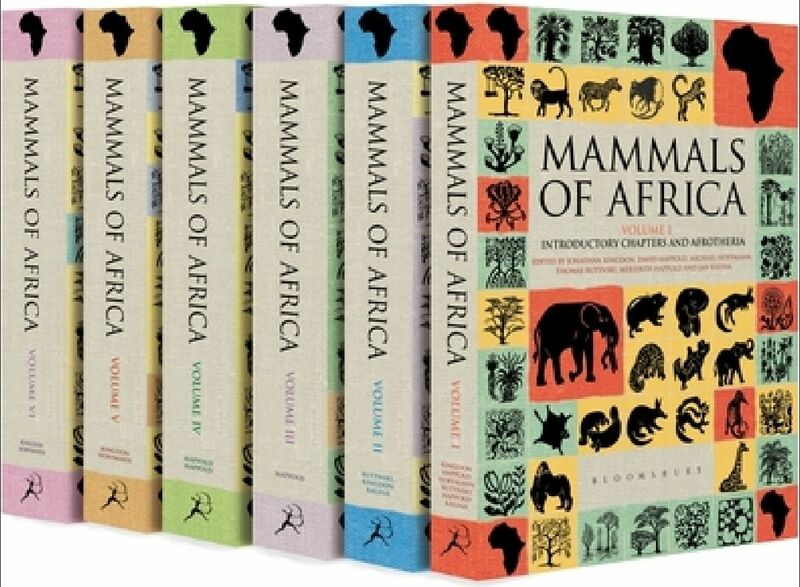 The newly published series of books Mammals of Africa was launched. The Guest Speaker was Prof. Jonathan Kingdon who was at one time a Professor at Makerere University and the lead author of the above series. Jonathan said that Africa is by far the richest Continent in the world with the largest adversity of mammals anywhere and this is mainly because of its geographical location. He emphasized the need to value what we have than what is brought for us from other countries as this is the basis for conservation. Wildlife is, and has always been at the core of Uganda's tourism industry. In particular, tourism based particularly on big ‘game’ became the greatest income earner for Uganda in the 1960s, with Uganda developing wildlife-based tourism faster than Kenya and Tanzania. Then, Murchison Falls National Park was the number one tourist destination in East Africa, attracting 60,000 visitors each year by 1970. The appeal of Uganda generally as a tourism destination was helped by its exceptional biological richness. For example, at one time during the 1960s, Uganda held a world record of 16 primate species within a 10km radius. It was also helped by the sheer abundance of animals. During the 1960s, for example, Uganda held the world’s record in mammal biomass density with the density in Queen Elizabeth National Park being higher than that of any other site, including the Serengeti National Park, a region now famous worldwide for its mammals. Today, the country still holds a top position in wildlife richness. For example, the total number of 400 mammal species the country is currently known to contain is one of the highest recorded for a single country. The diverse big ‘game’ including elephants, giraffes, buffalos, gorillas, chimpanzees and others continue to be leading tourist attractions in Uganda. However, the current situation is far different from that of the 1960s. Uganda is no longer holding the leading position as a tourist destination in the region and its biomass density of wild mammals is but a fraction of its former self. The country may also be one of those leading in the rate of biodiversity loss. Science is the most universal view as opposed to religion and that it’s a high time Africans observed science as a serious issue. Prof. Jonathan further clarified that all of us have our roots in Africa whatever the race. He enlightened that Humans origins are between Colubus monkey and the mighty Chimpazees. He further pointed out that knowing who and why your being is greater than just living for a particular lifestyle, for example, killing out racism amongst people. Animals and plants are fabrics of Africa and that we are apart of this fabric. There are some questions still to be answered: Do you find the varieties of human beings in our day to day life more interesting than the previous ones? Prof Kingdon pointed out that the series had over 350 authors, 350 institutions involved and a result of 350 years of Natural years in Africa. The ED Jane Goodall Institute (JGI), Dr Panta Kasoma, thanked Prof Jonathan for awakening us, and was greatful for the important information especially for the young generation. He urged the public to be vigilant with whatever they lay their hands on. Representing the guest of honor Hon. Miria Mutagamba, Minister of Tourism, Wildlife and Antiquities, the principle wildlife officer in the Ministry of Tourism, Mr Akankwasa Barirega read the speech in which she said the launch was a symbol of biodiversity richness and diversity of this country. She pointed out that government is determined to promote scientific research to continue guiding the development of the tourism sector as the industry is the second foreign exchange earner for Uganda. She thanked Prof Jonathan for choosing to launch this important book in Uganda and that this was a vote of confidence to the Government and people of Uganda. On behalf of the Hon Minister, Mr Akankwasa launched the “Mammals of Africa” series.